Made this for a dinner party a while back. Actually, when come to think about it, it was for my b-day (which is in June by the way). Anyhow, let’s just say it was highly appreciated. As always, this is no rocket science. You simply need put great stuff together in a glass bowl and you got it. 1. Start by mixing the raspberries and the sugar in a pot and cook on medium heat for about twenty minutes. 2. In an other pot mix the passion fruit juice and the sugar, letting it reduce till about half the amount. It should be like sweet syrup when it’s done. 3. Whip the cream and the Greek yoghurt with the vanilla sugar to a firm but fluffy texture. 4. Now your ready to put it all together by making layers of this sweet stuff. Start with the sponge cake, first divide it in slices of about 1 centimeter. Use cake for the first layer and lightly pour some of the syrup over. For the next layer use the raspberry jam and then the cream. 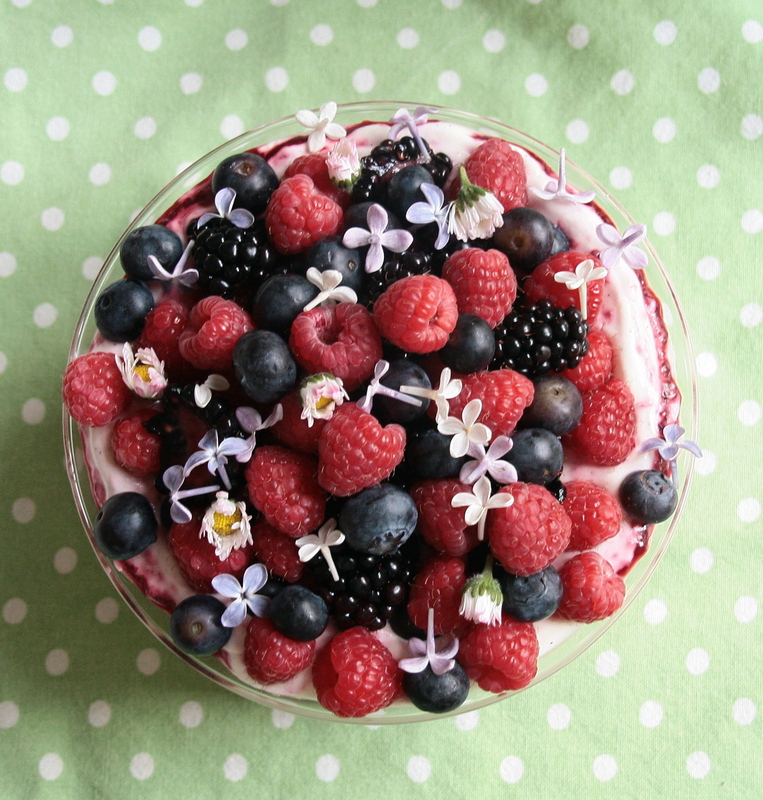 After this you can, if you have a lot of berries, do one layer with them. Otherwise just start over with the cake and repeat till you have at least double layers or until the bowl is filled. The only rule to obey is to use the cream filling for the top layer. Now just garnish with your berries and maybe some edible flowers and you’re done. 5. Let the feast begin. Ps. 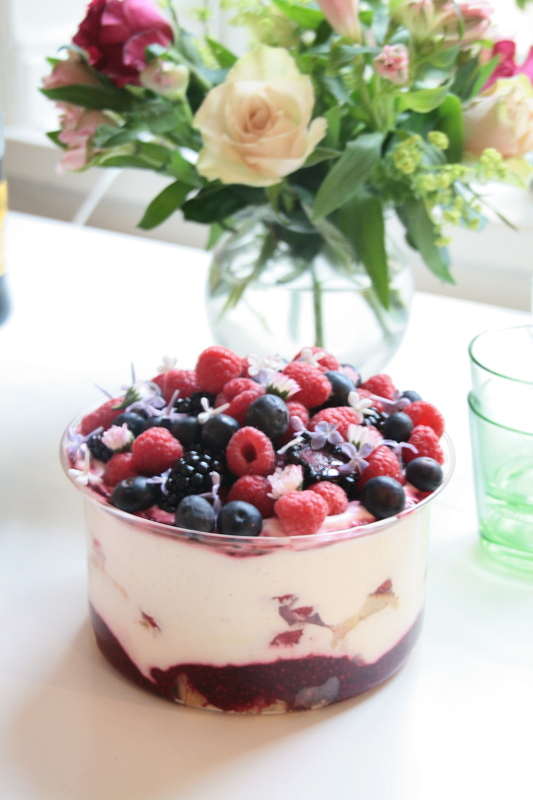 If you feel lazy, have some serious trifle cravings and want to make a super quick version. Then just skip the passion fruit syrup, whip some cream and use ready-made raspberry jam and we are talking minutes here.